We provide the information and expertise you need to achieve your real estate goals at the best price in the shortest amount of time, with the Aloha spirit. We are a dynamic partnership with a combined total of 21 years experience, we have personally moved around the corner and around the world a combined total of 25 times. We proudly served our country as military spouses. We are a part of the most forward thinking, industry changing, brokerage; working along side the top mentors and peers in the industry. Our business is in the cloud so that we can better leverage our time with our clients. We have earned the CRS. GRI, e-Pro and ABR designations and MRP certification. We know this partnership was meant to be. We met the first part of 2015 and we have been working together ever since. Our passion for real estate and providing the most accurate and up to date information to our clients while building a relationship of trust and respect, is what keeps this partnership growing stronger and helping us achieve our personal and professional goals. We are solution oriented, knowing that problem solving brings problems, whereas finding and creating solutions creates smooth transactions and satisfied clients. We strive to make sure both sides of the transaction are satisfied and pleased with the results. Communication is key and negotiation is necessary to achieve these results. We pride ourselves on our communication and negotiation skills and know every conversation is an opportunity to build upon our skills. We have a combined total of nearly two decades as licensed Realtors®. 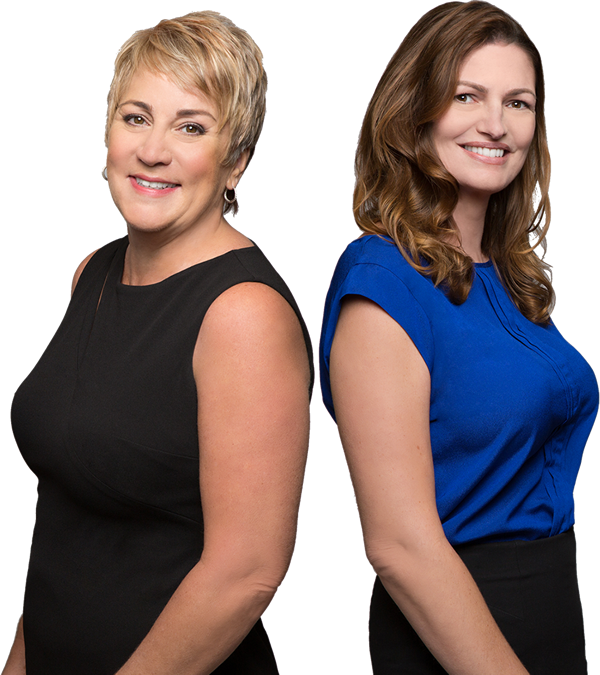 Isabella started her career in real estate, in Alabama in 2008 and Stefanie started her career, in Utah in 2005. We have both been mentored and trained by some of the best in the industry. We continually attend education classes and business seminars to keep our knowledge and understanding of the market, and the real estate industry, current. We have earned several real estate designations and certifications. Isabella is also fluent in German. We are both proud military (retired) spouses, moms, daughters, pet parents, sisters and friends. With a combined total of 23 moves, and 14 different duty stations in our country and overseas. It is our honor and privilege to serve our military family and everyone in the community. We understand the stresses and emotions of moving across the street or around the world. It is our goal to relieve the stress of buying or selling a home, or investment property, and guide you thru a smooth and timely transaction. We believe in the American dream of owning real estate and have both bought and sold numerous homes and investment properties for ourselves and our families. We believe a Realtor® should know firsthand what homeownership is all about. We are and will continue to be homeowners and investors in real estate. Paying it forward and giving back to our community, country and global family is a very important part of our business. We volunteer regularly at our children’s schools, community events and donate to causes that encourage education and community support and development. Of course, spending as much time as possible on the beautiful beaches and hiking the breathtaking trails of Hawaii is what keeps us grounded and grateful for all that we have and loving what we do.